The Winters House was built as the showplace of Herman Winters, a merchant who had immigrated from Germany. Winters required high quality workmanship and could afford it. The Winters House is significant for the its size as well as its Queen Anne-Eastlake architectural style. 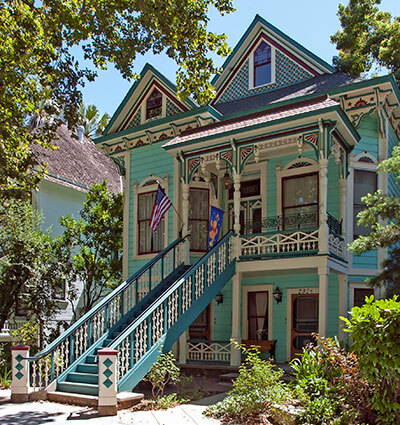 One of the largest houses of this type still existing in Sacramento, the house retains integrity of design, materials, and workmanship. Adapted from the NRHP nomination submitted in 1998.